This custom exhaus is manufactured from 304 stainless steel tubing that is CNC machined and welded to perfection which is then powdercoated in a high temp satin finish. It then includes a custom billit aluminum tip, sound suppressor and 2 way silencing cores. These can be altered to suit your needs by an easy snap ring removal. 2013 Attn: California Residents Due to California Emission Regulations, this product can be used for “Closed Course Competition Only” within California. If purchased, buyer agrees to these terms. 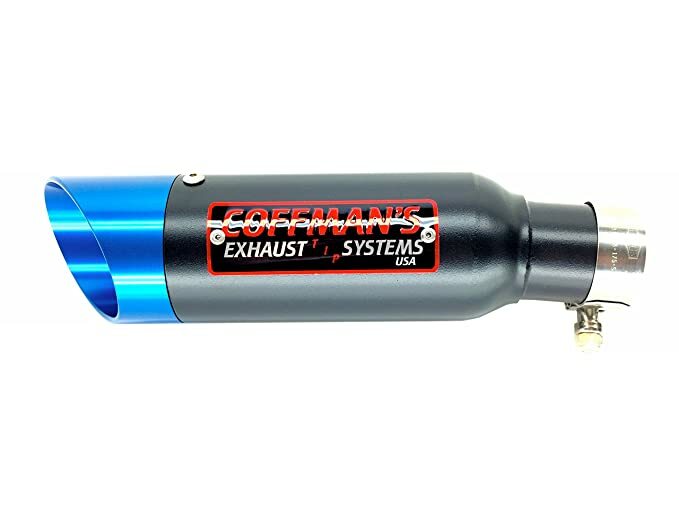 This custom shorty exhaust is manufactured from 304 stainless steel tubing that is CNC machined, mandrel bent and tig welded to perfection. It is then high temp powdercoated in a high temp black satin finish. It includes a billit aluminum tip that comes in an array of colors. 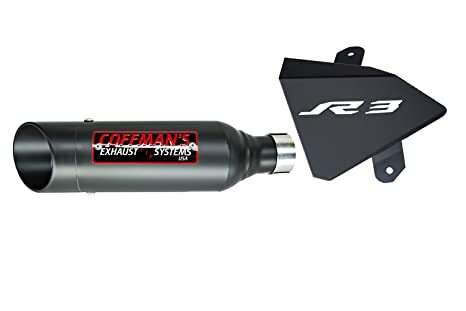 It also includes a sound suppressor, an exhaust guard and 2 way core system which allows you to adjust to suit your needs. Designed for use on the stock header only. 2008-2009 Attn: California Residents Due to California Emission Regulations, this product can be used for “Closed Course Competition Only” within California. If purchased, buyer agrees to these terms. 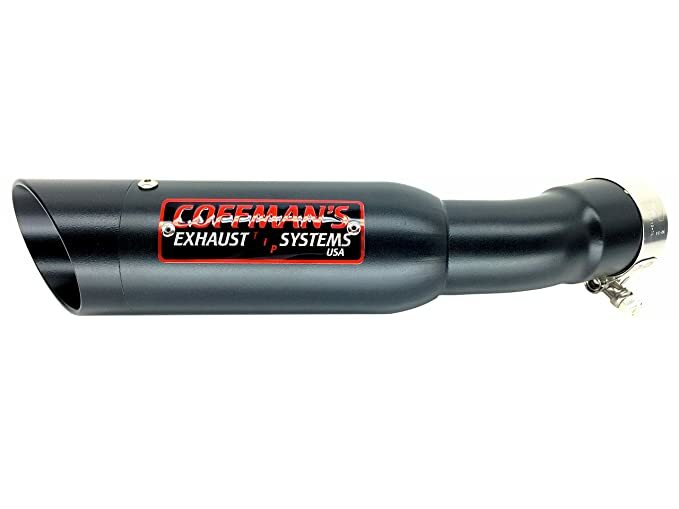 This Custom exhaust is manufactured from 304 stainless steel tubing that is CNC machined and powdercoated in a high temp satin black finish. It then includes a custom angled machined aluminum tip, sound suppressor and 2 way silencing cores. 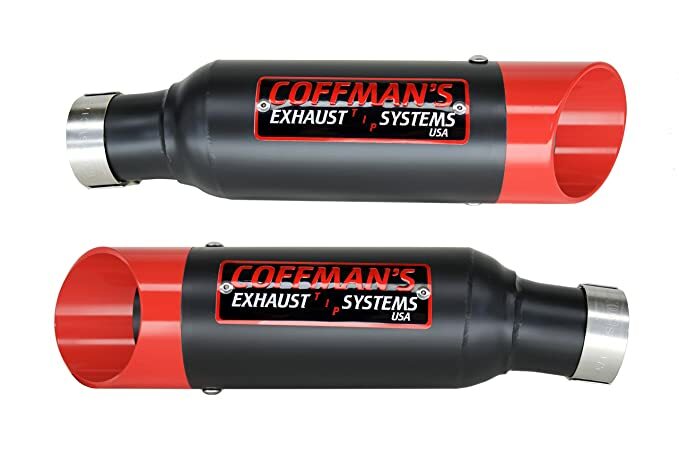 All can be customized to suit your needs 2013 Attn: California Residents Due to California Emission Regulations, this product can be used for “Closed Course Competition Only” within California. If purchased, buyer agrees to these terms. 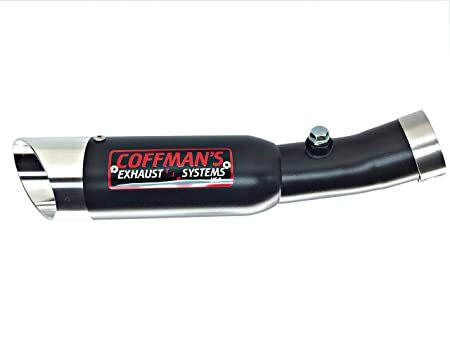 This custom exhaust is manufactured from 304 Stainless steel 304 that is welded to perfection and powdercoated in a high temp black. It then includes a custom billit machined tip, sound suppressor and 2 way silencer with an easy to use snap ring to adjust sound levels. 2011-13 Attn: California Residents Due to California Emission Regulations, this product can be used for “Closed Course Competition Only” within California. If purchased, buyer agrees to these terms. 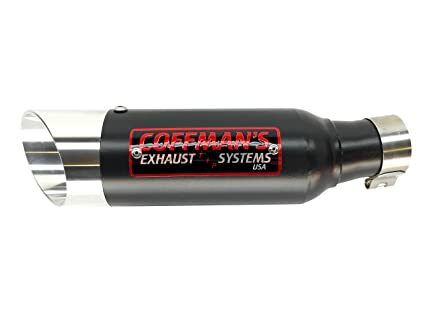 This twin set of custom exhausts are manufactured from 304 stainless steel tubing that is CNC machined, mandrel bent and tig welded to perfection. The case is high temp powdercoated in a black satin finish. They then include a billit aluminum tip that is available in an array of colors, sound suppressor and an internal 2 way core system which allows you to adjust to suit your needs. Designed for stock header use only. 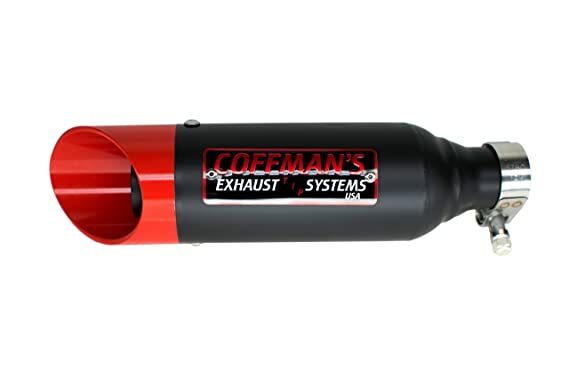 2008-2013 Attn: California Residents Due to California Emission Regulations, this product can be used for “Closed Course Competition Only” within California. If purchased, buyer agrees to these terms. 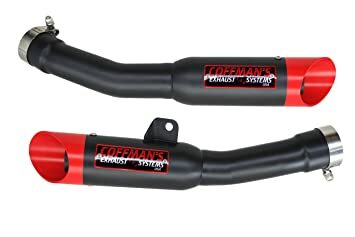 This custom exhaust is manufactured from CNC stainless steel tubing that is high temp powdercoated in a black satin finish. They are CNC machined, mandrel bent then tig welded to perfection. They include a custom billit angled aluminum tip, sound suppressor and 2 way silencing cores that can be modified. 02 Sensor is included. Designed for use with the stock header. 2001-2006 Attn: California Residents Due to California Emission Regulations, this product can be used for “Closed Course Competition Only” within California. If purchased, buyer agrees to these terms. 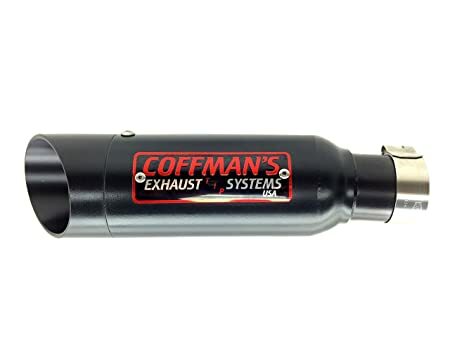 This custom shorty exhaust is manufactured from 304 stainless steel tubing that is CNC machined, mandrel bent and tig welded to perfection. It is then high temp Ceremic-coated in a high temp black satin finish. It includes a billit aluminum tip that comes in an array of colors. It also includes a sound suppressor, an exhaust guard and 2 way core system which allows you to adjust to suit your needs. Designed for use on the stock header only. 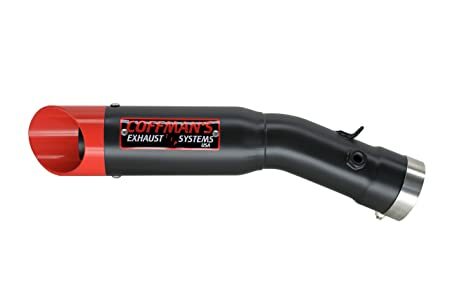 Attn: California Residents Due to California Emission Regulations, this product can be used for “Closed Course Competition Only” within California. If purchased, buyer agrees to these terms. Caution: This exhaust is loud on the Honda CBR 300/250 models. This custom exhaust is manufactured from 304 stainless steel tubing that is CNC machined, mandrel bent, then tig welded to perfection. The case is high temp powdercoated in a black satin finish. It then includes a billit aluminum tip which comes in an array of colors, sound suppressor and a 2 way core system which allows you to adjust to suit your needs. Designed for use on the stock header only. 2011-13 Attn: California Residents Due to California Emission Regulations, this product can be used for “Closed Course Competition Only” within California. If purchased, buyer agrees to these terms.